Please respond to the concerned folks to which this email has been cc’ed, all the details of the permit that the foreign corporation Glencore has submitted to the MNDNR, MNPCA, or US Forest Service concerning the establishment and maintainance of their enormously dangerous, potentially catastrophic, toxic tailings lagoon, an entity that seems to have been conveniently ignored by the media cheerleaders and even you regulatory entities. I don’t recall seeing any permit application published for the eventual 250 foot high earthen dams that will hold back for eternity the tens of millions of cubic meters of poisonous liquid sludge that the copper/nickel/sulfuric acid mine will inevitably produce (and need to be stored). Anybody with any awareness of the risks of the toxic metal and sulfuric acid recognizes that the tailings lagoon MUST be the center of discussion. So far it is rarely mentioned in the occasional news bulletins. Every copper/nickel liquid tailings pond holds the 99.8% mine waste plus the liquids that is used to pipe the dissolved powder from the processing plant to the pond. Every copper/nickel sulfide mine in the history of mining has leaked/leached poisons into the groundwater, onto adjacent lands and into the downstream environment. This happens at all copper mine sites that are located in watery environments such as northern Minnesota. Just read the history of the first ancient copper/sulfide mine at Rio Tinto, Spain. Hundreds of years after these ancient mines closed, the mine area, including the downstream areas is still uninhabitable, the water is undrinkable and the downstream area is essentially incompatible with life. The pH of the immediate downstream rivers remains at 2.5 even hundreds of years after the mine was closed! An impressive rendering of another article that I wrote about the inevitable and eternal toxicity of copper mining can be found at https://www.transcend.org/tms/2017/09/sample-comments-regarding-polymets-permit-application-to-construct-a-copper-mining-tailings-lagoon-in-northern-minnesota/. The Transcend Media version has many important videos about copper mining dangers, plus links to eyewitness accounts of the Mount Polley disaster, which could easily foreshadow what might easily happen to the St Louis River and downstream environs if copper mining in northeast Minnesota is allowed to proceed. Click on the youtube videos linked at the Transcend website. 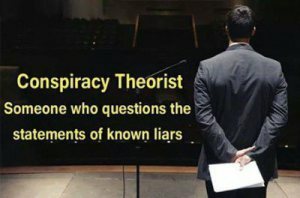 If any honest person with an open mind studies those videos with any thoroughness – he or she will have no option but to join the resistance movement. Earthen dams are obviously highly susceptable to dissolving or bursting or over-topping in any number of scenarios, particularly when one of the increasingly common deluges of rain happens in the vicinity of the dam, a likelihood increasingly likely in the current – and future – global climate change realities. 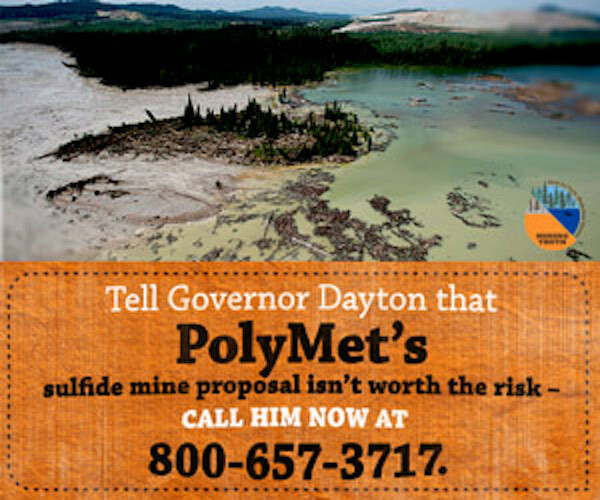 If allowed to be built, the PolyMet and all the future copper/sulfide tailings pond’s containment dams will be an eternal threat to the existence of human life, wildlife, fish, plant life and assorted water-drinkers downstream. Copper mining waste sludge ponds have to be built close enough to the mine processing plants, so that the very sabotagable pipelines are able pump the waste products quickly and efficiently. The foreign multinational mining mega-corporations Glencore and Antofagasta will be responsible for the entire process, but will severely restrict access to the sites. The inevitable leakage (sudden or gradual) of those waste dumps represents the worst case scenario for NE Minnesota’s future, for, if and when they burst, dissolve, collapse or otherwise lea, trillions of dollars worth of Minnesota’s priceless environment will be poisoned and lost forever. PolyMet/Glencore must be forced to thoroughly address those concerns, but they will find it very difficult to do without lying to us potential victims of their plans. They will have to lie because many of us know about the true (and often hidden) history of copper mining. Neither of the two aforementioned multinational mining corporations (and neither of the two foreign (Canadian) Penny Stock mining companies that started the permitting process for their multinational senior mining companies) want us Minnesotans to think about tailings ponds. For some very good reasons. Neither mining company will be able to afford putting into an escrow account the hundreds of billions (perhaps trillions?) of dollars that it will take to remediate what is obviously irremediable at any price. How do you place a price tag on an irretreviably polluted St Louis River and Lake Superior and the drinking water resources that will be forever poisoned and thus to dangerous to drink? And we have yet to hear from those hundreds of millions of Downstreamers that rely on the water and the habitat surrounding the five Great Lakes. They deserve to weigh in on the debate. In fact they probably deserve full veto power over this dangerous scheme. … It seems to me that if there had been any significant poisonings of people or animals they would be known because people would see dead bodies, and the press would be all over it because they love reporting things like this. It would be impossible to keep poisonings secret and it would become public knowledge very fast. … I would like to look at the things you have suggested but I cannot go out and look at them because I live on the other side of the USA. Do you have any photos? … I am looking right in front of me and what I see is my computer, my wife’s desk, and my bedroom wall. Should I be seeing something else? … I’m sorry but I don’t see any bright shiny objects dangling off to the side, so I am not diverted. It would be nice if we could stick to facts rather than hyperbole and hypothetical catastrophising. We have no way of knowing what events have occurred as any stats on this are not made public. As for visual evidence…..look at the lack of foliage, trees, animals or other signs of life in the nearby areas. Look at what is right in front of you…..not the bright shiny object they dangle off to the side to divert you. The USA produces roughly 1 million tons of copper every year from ore sources that have a grade of about 0.5% copper. Simple maths tells us that this results in 200 million tons of copper tailings being produced and disposed of in tailings dams in the USA every year. That is – the USA already produces about 200 million tons of copper tailings per year and has been doing so for decades. If, as this article claims, these tailngs are all placed into tailings dams, and the tailings are all highly toxic, and the dams all leak, then we should see evidence of major poisoning events affecting people and animals. I would love to know where such events have occurred, and when, and how many people were killed? However, if no such poisoning events have occurred then we can conclude that the risk is not really very severe, and/or that the controls that are in place are actually working well. Yet another foreign-owned mine allowed to extract America’s natural resources? PolyMet is a junior mining company headquartered in Vancouver, Canada. The company has never operated a mine before, and is backed financially by the Swiss company Glencore. Glencore has a significant financial stake in the company, and has an exclusive agreement to sell the mine’s metals on the global commodities market. While PolyMet doesn’t have a track record to consider, Glencore does. HUMAN RIGHTS ABUSES around the world. former BP CEO TONY HAYWARD, the man who was in charge when the DEEPWATER HORIZON OIL RIG caused the largest oil spill in history in the Gulf of Mexico. He was made infamous for saying how he would “like his life back” while the water was being polluted and whole communities were being devastated by the spill. Recently, a memory of my son as a small boy came back to me. He was, in those days, terrified of clowns. Something about their strange, mask-like, painted faces unnerved him utterly, chilled him to the bone. To the rest of us, they were comic, but to him – or so I came to imagine anyway – they were emanations from hell. And yes, it can all look ludicrous as hell, but don’t laugh. Don’t even think about it. Not now, not when we’re all at the circus watching those emanations from hell perform. Instead, be chilled — chilled to the bone. Absurd as every pratfall may be, it’s distinctly a vision from hell, an all-American vision for the ages.